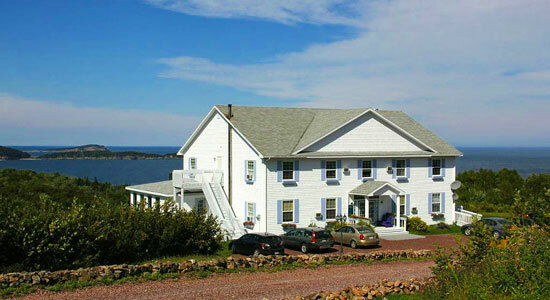 Castle Rock Country Inn is located in Ingonish Ferry on beautiful cape Breton Island. Our Georgian-style inn overlooks the magnificent vista of Middle Head Peninsula, the Atlantic Ocean and the range of the Cape Breton Highlands. 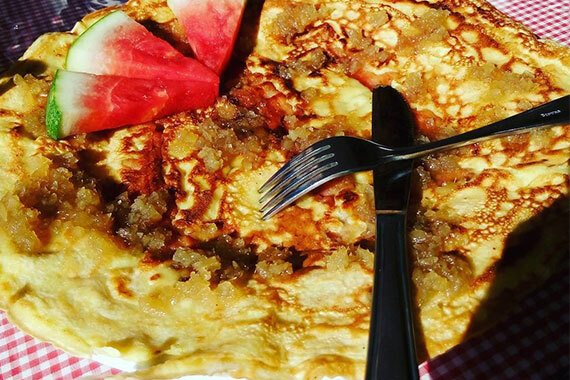 There is no better way to end your day's travel than to sit with your favourite beverage and treat yourself to a wonderful meal. Relax on our large patio while you enjoy the stunning view. You may have the chance to see moose, whitetail deer, bald eagles, and whales in the bay. Your stay with us will be enhanced by a stroll along the pathways on our property where the sights and sounds of the mountains and ocean will take your breath away. 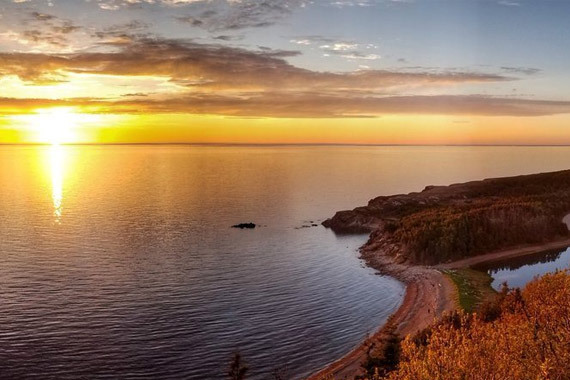 We are located minutes to the entrance of the Cape Breton Highlands National Park on the legendary Cabot Trail, with breathtaking panoramic views of canyons, highlands and seacoasts. Other nearby attractions include the Highland Links Golf Course, Ski Cape Smokey, and an array of loval activities, such as hiking, sea kayaking, whale watching tours, biking and beaches. Our accommodations include 17 rooms with queen and sofa beds, private 4-piece baths, satellite television and an ocean view. Guest amenities include a licensed dining room, lounge, and a patio. A complimentary deluxe continental breakfast is served from 8 a.m. until 10 a.m. Pets are welcome with permission. Our property is partially accessible with Access Advisor. We are a proud member of Innkeepers Guild of Nova Scotia.